Moana is an adventurous teenager who sails out on a daring mission to save her people. During her journey, she meets the once-mighty demigod Maui, who guides her in her quest to become a master way-finder. America’s most honored cabaret artist Michael Feinstein celebrates the magic of Frank Sinatra as he and his trio perform swinging American standards made famous by ol’ blue eyes. FUDDY MEERS tells the story of an amnesiac, Claire, who awakens each morning as a blank slate on which her husband and teenage son must imprint the facts of her life. One morning Claire is abducted by a limping, lisping man who claims her husband wants to kill her. Nellie McKay exploded onto the music scene in 2004 with her eclectic showstopper, Get Away from Me. Upending the norms of piano-backed jazz with a seamless merger of musical erudition and thematic irreverence, it was, as the New York Times observed, “a tour de force from a sly, articulate musician.” With a voice that can be boisterous and bold or soft and breathy, McKay harnesses the agility of a superstar athlete from the piano bench. She has maintained that adventurousness — starring on Broadway in The Threepenny Opera, opening for Lou Reed at Carnegie Hall, duetting with Eartha Kitt and recording a dazzling tribute to Doris Day. In her one woman show The Big Molinsky: Considering Joan Rivers, McKay delivers a performance for the ages as the talented and treasured Joan Rivers (playing a few other people in Rivers’ life to boot). The Isle of Guernsey – 1943. A mysterious, handsome man washes up on shore and four British women decide to protect him through cunning deceptions and bravery. 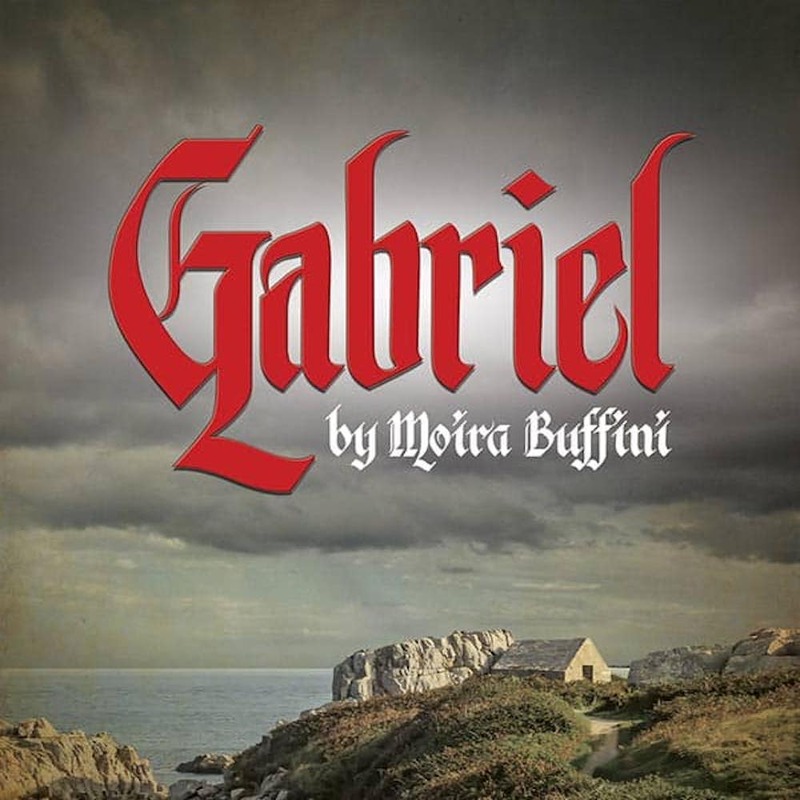 British playwright Moira Buffini’s award-winning Off Broadway play presents the dramatic tale of the loss and dangers of a family under Nazi occupation. GABRIEL explores the perils of survival through mystical beliefs and loyalty. A powerful wartime drama brimming with suspense and intrigue that will keep you at the edge of your seat. A finger popping, toe tapping, “HOT” Musical Revue, celebrating the Blues, Jazz, Pop, Rock & Roll, MoTown, and those who made them possible. By Jennie Hamilton, co-directed by Earl Hamilton, Jr., & Yolanda Franklin, to commemorate Black History Month. Each year, we honor and celebrate different Musical artists; come and see who we celebrate this year, as Bojo’s Place burst into a stage of celebration! Fri/Sat at 8:00pm., Sunday Matinee at 3:00pm. Choreographed by Patty Faye. Musical Director, Kimberly Coburn. Fri/Sat., Feb. 15, 16, at 8pm. Sun., Feb. 17, at 3pm. Sun., Feb. 24, at 3pm. The San Diego Symphony welcomes back one of our favorite musical friends of the past decade, violinist Augustin Hadelich, recently named Instrumentalist of the Year (2018) by Musical America, for this musical journey through Central and Eastern Europe. Music of DVOŘÁK, BRAHMS and more! Siblings Bo and Ally are back in their childhood home in Idaho for the funeral of their Father. Their Mother Carol has painted the whole house white and is suspected to have been drinking since their father's death. What Ally and Bo come to find out is that their Mother has a method to her madness as she pulls out some home videos of their father just before he died. Called a fusion between realism and the absurd, A Permanent Image is a tense exploration of the distance families put between themselves and what it take to bring them back together. BEYOND BABEL is a critically acclaimed new dance show created by Keone & Mari Madrid and Hideaway Circus now playing in San Diego, California. The production is inspired by the classic tale of Romeo & Juliet and current social stories from all over the world. BEYOND BABEL is told entirely through the style of West Coast Urban Dance in a new immersive theater space near Downtown San Diego. BEYOND BABEL also features large crochet backdrops, art installations, and yarn-based props created by artist London Kaye. After one too many hurtful relationships, the last thing that waitress Frankie wants is a new man. Yet here she is, laying next to Johnny, a compulsive talker and hopeless romantic. Listening to Bach and Debussy on the radio and the sound of the city that never sleeps. Two very normal and very real people sparring , spatting and sparkling their way to all the one hundred and one reasons why people never fall in love. Discount is for Area A seating. Must mention promo code SDTW19 when ordering online or by phone. Leiber and Stoller, as much as anyone, virtually invented rock ‘n’ roll, and now their songs provide the basis for an electrifying entertainment that illuminates a golden age of American culture. The classic themes of love won, lost and imagined blend with hilarious set-pieces and slice-of-life emotions. Featuring nearly 40 of the greatest songs ever recorded (including Jailhouse Rock, Love Potion Number 9, and Stand By Me), SMOKEY JOE’S CAFÉ isn’t just great pop music – it is compelling musical theatre. Get your front-row seat to music history in the making! Bringing fierce guitar playing and swing to gospel music, Sister Rosetta Tharpe was a legend in her time and a huge influence on Elvis Presley, Johnny Cash, Jimi Hendrix, and Ray Charles. Marie and Rosetta chronicles her first rehearsal with a young protégée, Marie Knight, as they prepare to embark on a tour that would establish them as one of the great duos in music history. This story of letting loose, finding your voice, and freeing your soul is a soaring music-theatre experience chock full of roof-raising performances. Sixteen multi-talented performers and San Diego’s hottest band take you on a thrilling musical journey through the best of LAMB’S 25 years in Coronado!